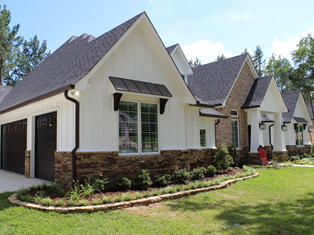 Kevin Humphrey Homes has been providing exceptional custom home design and home building services to Tyler and East Texas clients since 1991. Under the personal leadership of Kevin Humphrey, the company's primary goal is to build a beautiful, safe and energy-efficient dream home customized to your every need. His knowledge of the homebuilding trade in Tyler, coupled with his business education gained at the Harvard Business School and his engineering skills earned at the University of Missouri, make him a valuable resource to clients in home planning and building. Completed projects span a wide range of size and amenities, from 2,500+ sq.ft. homes, to larger 5,000+ sq.ft. homes. As a custom builder, we want to build whatever size home best fits the client's needs and lifestyle. 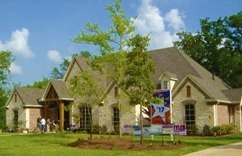 We build in multiple Tyler communities, and often build on the client's own lot. Kevin stays closely involved with his clients from the home design stage through construction to closing. Reactions and experiences from previous homebuilding customers demonstrate Kevin's customer orientation, as does the fact that Kevin has multiple repeat customers for whom he has built two or more custom homes. Kevin works with his clients during every step of home design and construction, guiding you through decisions and selections. He can build on your own lot using your blueprints. Or if needed, he can help locate a building site and custom design your house plan. 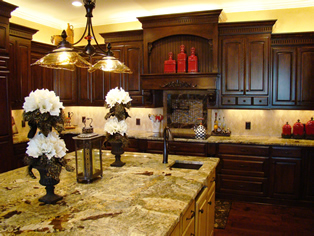 Learn more about the home building process, and the services offered by Kevin Humphrey Homes. The customer's desires, living style, and budget are factored into crafting a design uniquely suited to each individual. Kevin realizes that building a new home is one of the largest commitments made during a lifetime, both financially and emotionally. That's why with every home built by Kevin Humphrey Homes, quality craftsmanship and meticulous attention to detail is taken very personally and seriously. Kevin Humphrey Homes is an active member of the Tyler Area Builders Association (TABA), and Kevin has served on the TABA Board of Directors for several years. The company has also been a frequent participant in TABA's Annual Tyler Parade of Homes™. Kevin's educational background includes a Bachelor's Degree in engineering from the University of Missouri-Rolla and a Master's Degree in business from the Harvard Business School. Kevin's combination of 23 years of building experience, engineering expertise and management training help insure that your dream home is constructed beautifully, on schedule, and cost effectively. to arrange a personal consultation on your homebuilding needs, or to prepare a no cost, no obligation bid for your custom home project.